Bluefin, the leading North American distributor of toys, collectibles, and hobby merchandise from Japan and Asia, has announced pre-orders for a variety of notable forthcoming product releases from leading the collectible brands Flame Toys, Storm Collectibles and SEN-TI-NEL. 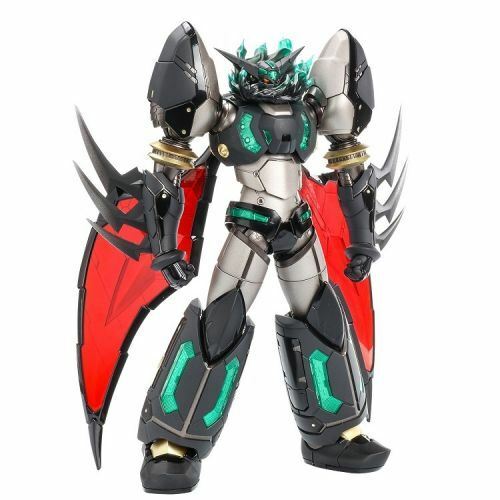 The products include extraordinary new releases for iconic collectible and pop culture properties including IDW’s Transformers comic series (Flame Toys), the Street Fighter (Storm Collectibles) and the King of Fighters (Storm Collectibles) video games, and high quality, premium mech creations based on the classic Japanese anime/manga sci-fi series Getter Robo (SEN-TI-NEL). The first of the products will be available from authorized Bluefin retailers nationwide and also from a variety of leading online outlets beginning in Q4 with additional items set for release in early 2019. Pre-orders for all of these items are available now. Introducing the second entry of in Flame Toys’ Furai Model Kit series: the legendary Decepticon Starscream as depicted in the IDW comic series. The completed model stands nearly 6 inches tall and was designed by famous 3D modeling company, TRIGGER. This updated and optimized Starscream features easy snap-together construction and has excellent articulation with over 40 movable joints, permitting a wide range of posing options. The Starscream model is ideal for model kit beginners but is also well-suited to experienced builders. Also known as Brainwashed Ken, M. Bison over-powered and brainwashed Ken with Psycho Power. Just like Evil Ryu, Violent Ken is obsessed with power and fighting and shows no empathy for others. Violent Ken shows up the first time as the mainline character in Ultra Street Fighter II: The Final Challengers. Since then, he becomes the perfect in-game rival for Evil Ryu. The figure features a newly designed Violent Ken torso. Fully articulated figure stands 7 inches tall and includes Hadoken Effect, Shoryuken Effect as well as interchangeable alternate head and hand accessories. Evil Ryu is an alternate form of Ryu who is heartless, mad, uncontrollable and nothing more than a demon! Evil Ryu enjoys absolute power and obsesses with fighting. He will defeat any fighters standing in front of him with no empathy or respect. Fully articulated figure stands 7 inches tall and includes Hadoken effects and interchangeable alternate head and hand accessories. Storm Collectibles announces its newest partner - SNK – and the King of Fighters ’98 Ultimate Match joining the company’s gaming action figure series. King of Fighters is one of the world’s most popular arcade fighting games and King of Fighters ’98 is considered a dream match with a comprehensive roster of characters. The first King of Fighters release is Omega Rugal - the boss and playable character in KOF ’98 UM. Omega Rugal is the alternate/ultra-evil form of Rugal Bernstein. His one eye was removed by Goenitz when he was trying to channel Orochi’s power. Fully articulated figure stans 8 inches tall and includes Genocide Cutter effect and Energy Charging effect as well as interchangeable alternate head and hand accessories. Collect all 4 Storm Collectibles figures in the King of Fighters series (Omega Rugal, Kyo, Lori and Terry) to form the full "Gravity Smash" effect! The coloring of the whole black body is created with matte black and glossy black. Poseable figure stands approximately 8 inches tall and features many internal mechanical details reproduced with clear parts and super detail. Shin Getter also features fist parts equipped with sharp spikes and includes flame effects parts. From Eiichi Shimizu and Tomohiro Shimoguchi's popular ongoing manga series, "Getter Robo Devolution -The Last Three Minutes of the Universe-,” the Getter 1 proudly joins the SEN-TI-NEL line-up of its popular RIOBOT series. Under the supervision of SEN-TI-NEL’s senior design managers, Mr. Shimizu and Mr. Shimoguchi, designer Alan Moriguchi strikes a balance between extreme articulation and unique design. A superior, high quality presentation is further achieved by the integration of clear materials and die-cast parts integrated with fine details markings on both versions of the Getter 1 body.